Click on the mp3 player to listen to or download the demo track. 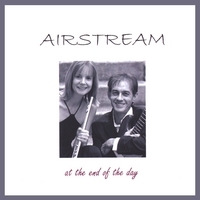 This beautiful album was recorded in 2007 with fabulous flautist Joanna Sullivan. Go to the store and add to your shopping bag to purchase with paypal or secure credit card. This beautiful album features Andrew Hobler on guitar and Joanna Sullivan on flute. The 3 original pieces are joined by the widely known works of Bach, Faure, Pachabel and Tarrega to provide a wonderfully soothing and refreshing journey. These and many other original pieces are available for purchase here.